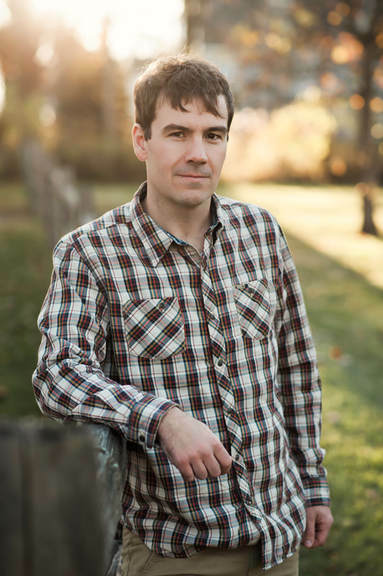 Devin Murphy is an assistant professor of creative writing at Bradley University. His fiction has appeared in more than sixty literary journals and anthologies, including the Missouri Review, Glimmer Train, and Chicago Tribune. He lives with his wife and children in Chicago. 1. Why is storytelling so important to Jacob? In what ways does the idea of storytelling surface in this novel? What do the recurrent Thump-drag stories add to the novel? 2. Most war stories portray allies and enemies, but in The Boat Runner, things are not as clear cut, and each character is held morally responsibility for their own actions. What do you think the author hoped to achieve in doing this? 3. Of all the losses Jacob sustains in this story, what is the one loss that changes him the most? What is Jacob’s greatest personal strength? 4. Jacob Koopman is complex character and is often shown in private moments struggling to do what’s right. What are some of the moral dilemmas Jacob must face? In what ways do the labels hero or villain describe him? 5. How does the persecution of Jews reveal itself in this book, and how does Jacob react to encountering this? Do his reactions change over the course of the novel? 6. Consider the idea of borders in this novel. The physical location of Jacob’s town sits on the edge of two countries as well as on the edge of land and water. What are some of the other borders that Jacob encounters? How are these borders significant in understanding his character? 7. In what ways does the sea and shipping become an essential part of the novel? How did Uncle Martin and Jacob’s missions aboard ship complicate the story? 8. On page 353, the captain of The Royal Crest tells Jacob, “It’s been my experience that the incidents we can’t control make us who we are.” Is this true for Jacob? 9. What are the most striking images that linger after finishing the novel? Which experiences do you think will stay with Jacob the most? 10. Of the many characters Jacob meets along his journey, which stand out the most to you? What makes them memorable?